The new King of The Netherlands – King Willem-Alexander – has now had a few months to settle into his position. 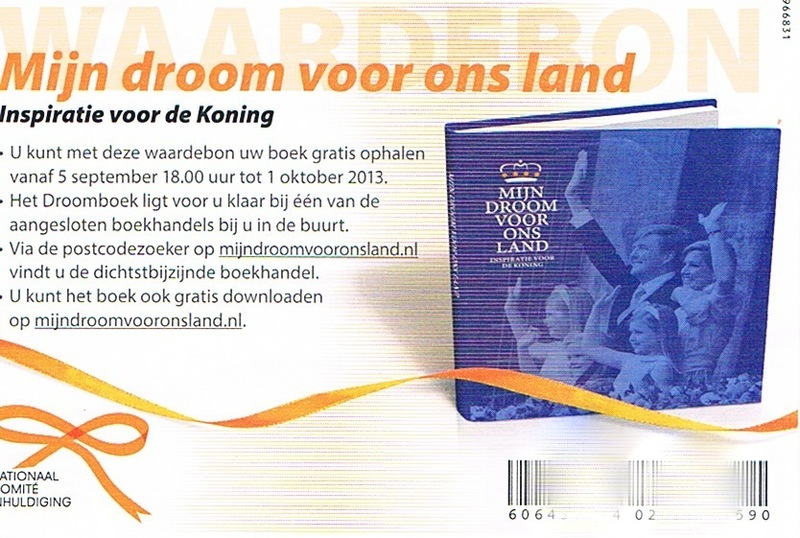 On Thursday 5th September 2013, he was presented with a book called “Mijn droom voor ons land” (My dream for our country). This was co-ordinated by the Nationaal Comite Inhuldiging (The National Inauguration Committee) and is a collection of 300 contributions from citizens in The Netherlands (including the Dutch Caribbean) and is meant as “inspiration for the King” in his new role. In April, the committee called for submissions and a jury chose from more than 6500 ideas. The jury was made up of: André van Duin, Tensen, Esmaa Alariachi, Hein de Kort, Rahma el Mouden, Bas van de Goor,, Paulette Smit, Ruben Smit, Helga van Leur, Esther Vergeer, Giovanni van Bronckhorst, Willemijn Verloop, Albert Verlinde, Müjde, Paul Schnabel en Wendy van Dijk. Loket van Samen, Loket van de Lach, Loket van Kansen, Loket van Kunst, Loket van Groen, Loket van Beweging, Loket van de Wereld en Loket van Elke Dag. It’s meant as a both a practical and inspiring book for the King but also as a gift from the people of the country to him – but we also receive a free copy! 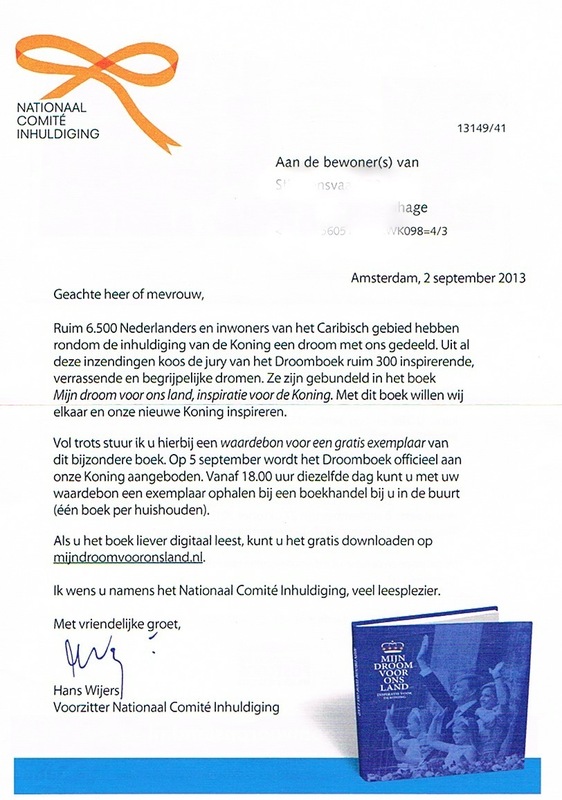 Funded by the Nationale Postcode Loterij, all households in The Netherlands received a voucher this week to be able to collect a print copy “gratis” from a local bookstore. 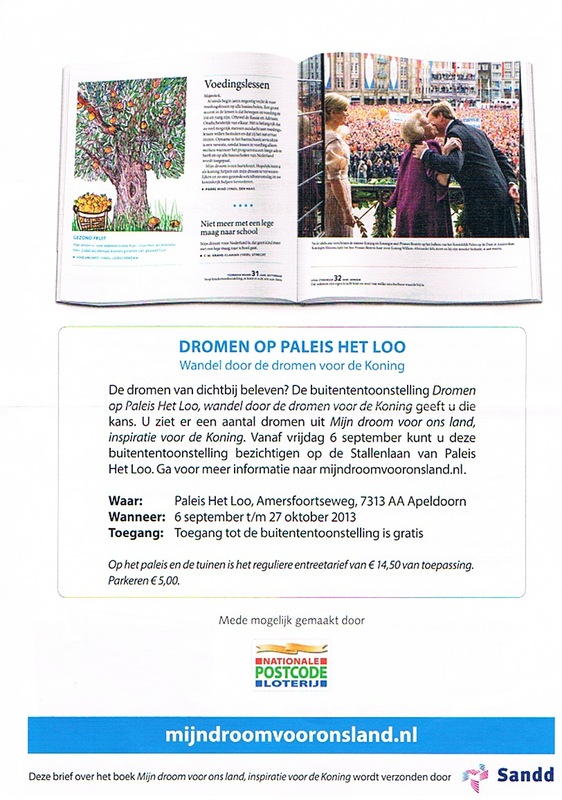 Even better – if you would like a free digital version, you can Download Het Droomboek here – available on iTunes, Google Play and as an online digital book to flick through. This is a great opportunity for Dutch Australians who aren’t currently living in The Netherlands but would like to take a look.